Ephraim Shores turns 45 years old this year as one of Door County’s premier resorts, and we’re celebrating with two great promotions for our early-season guests. The first 20 people to book rooms for the big May 2-3, 2014, Door County Half Marathon weekend can select the room of their choice for $80. That’s $10 off the regular rate. In addition, be one of the first 45 reservations for anytime during the May 9-31 period (excluding the Memorial Day weekend) and receive a free Ephraim Shores coffee mug when you check in. Blossoms that runs April 12 through June 8. The Door County landscape awakens from its winter slumber to explode in color with a variety of blossoms. 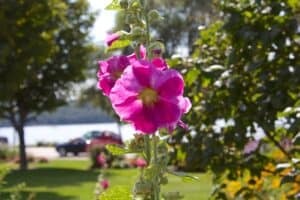 This is a great time to visit Door County and take it its charms prior to the busy summer season. Use our online reservation system to book your room here. We look forward to seeing you this spring … and yes, it is coming. Despite a stubborn Old Man Winter who doesn’t realize he’s overstayed his welcome, the color green will make a return appearance to Door County before you know it. Savvy visitors know it’s a good idea to reserve their lodging in Door County before the snow melts to ensure access to prime accommodations. Your friends at Ephraim Shores are looking forward to a spectacular season, and we encourage you to make plans while rooms are available. 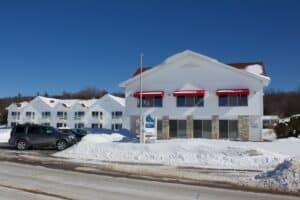 Door County lodging is in high demand the first week of May for the running of the Door County Half Marathon and Nicolet Bay 5K, scheduled for May 4. Use our online reservation system to book your room at http://ephraimshores.com/. We expect a full house for this fun weekend. Ephraim Shores offers one of the most convenient locations in all of Door County lodging to take in the races and enjoy the return of spring to Wisconsin. Early spring is a great time to take in the sights, great food and relaxing vibe of Door County before the busy summer season. We hope to see you soon! It’s Ephraim Shores’ 45th Anniversary, and You Get the Gifts!